A four diode and four transistor distortion circuit that most closely resembles the 1990 CIVIL WAR MUFF PI circuit. 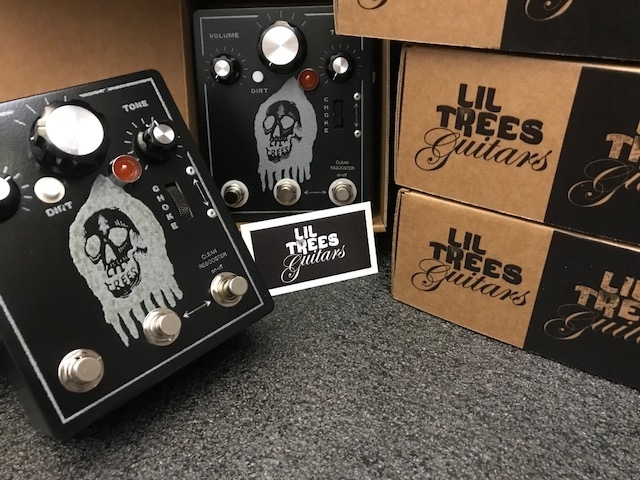 The modifications in the Lil Trees pedal are made especially to enhance the expression of the standard wiring diagram used on all Lil Trees Guitars. 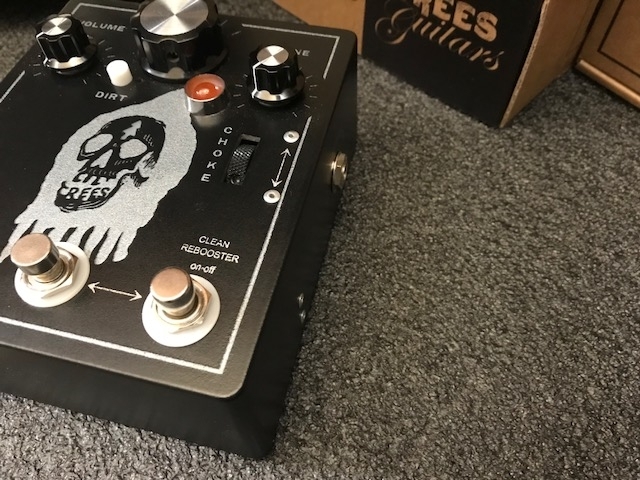 Made with a large aluminium enclosure that is painted satin black and sporting the sparkle silver dead friend decal, lettering, and decorative border. 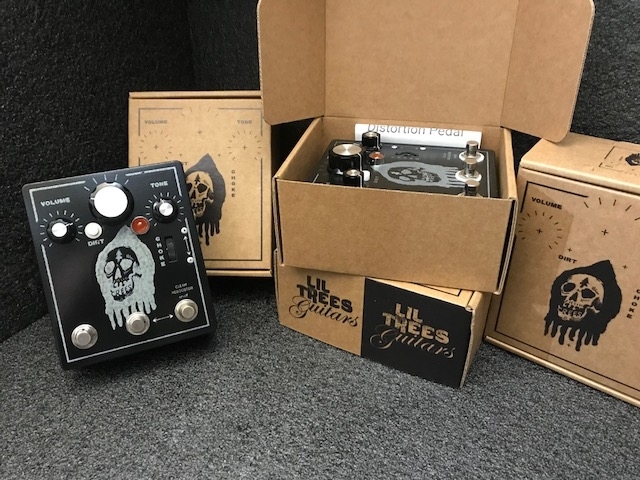 The paint and graphic are then covered by a durable, UV safe, special top coat that will protect the pedals exterior for years to come. All components are mounted to the aluminum chassis and not to the PCB. This allows for sturdy and spacious component mounting and placement. Helping to ensures that future repairs will be nonexistent or easy and inexpensive. 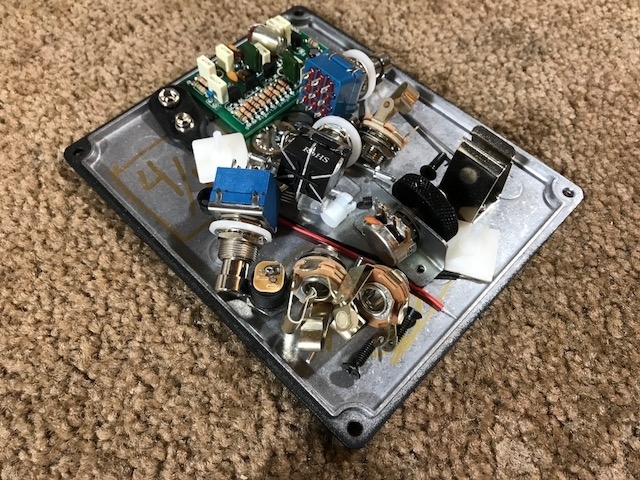 Being a Muff pi inspired circuit; this pedal has a huge sound. 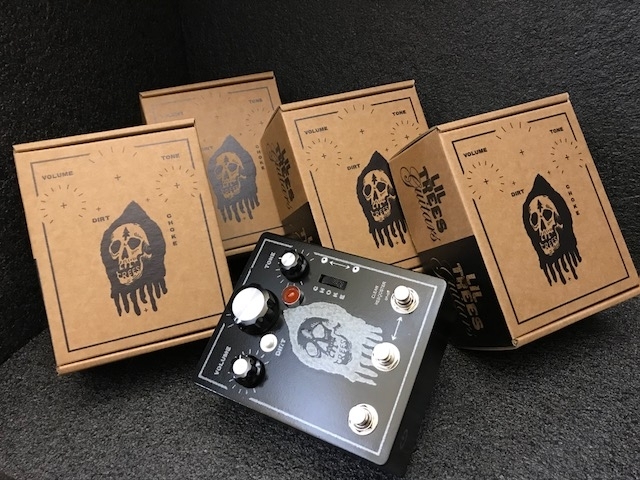 When the pedal is in it’s (GREEN) setting there is enough volume to blow your dry signal out of the water, even when the dirt and tone knobs are zeroed out. 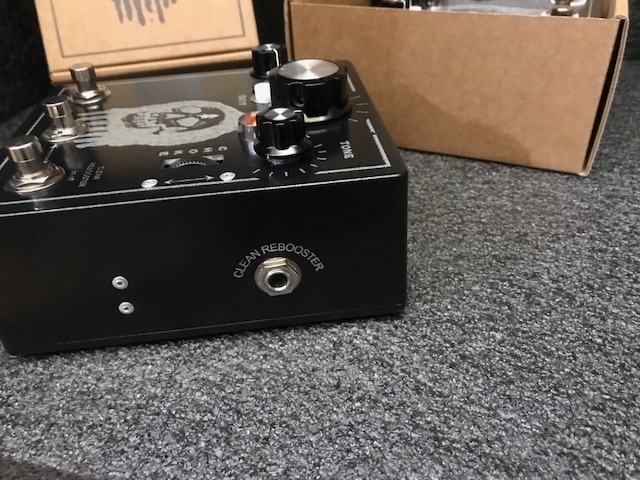 The “TONE” knob adjusts the amount of fuzz hiss you hear on top of your wet signal. When positioned at zero, your treble response will be subdued slightly and bass will be dominant. 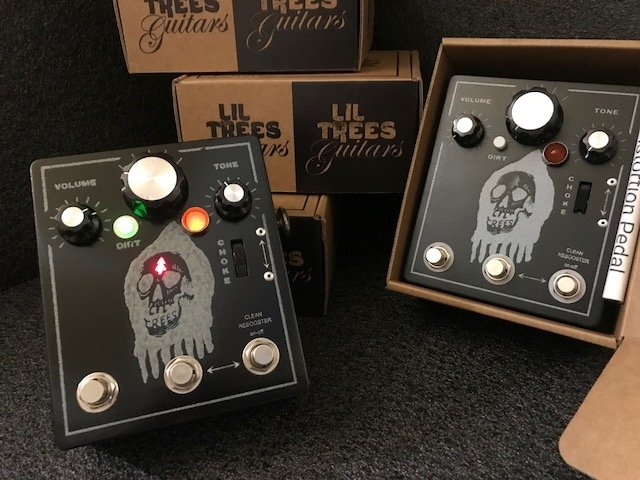 At ten, the treble response will be unbridled and added directly to your bass and mid range frequencies. 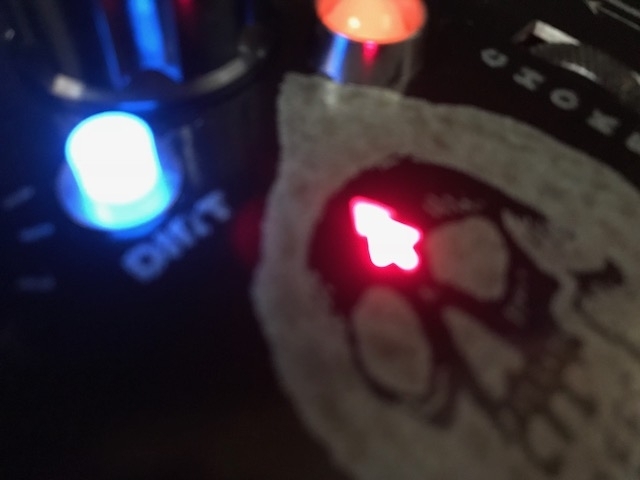 The “DIRT” knob controls the amount of clipping taking place in the circuit. 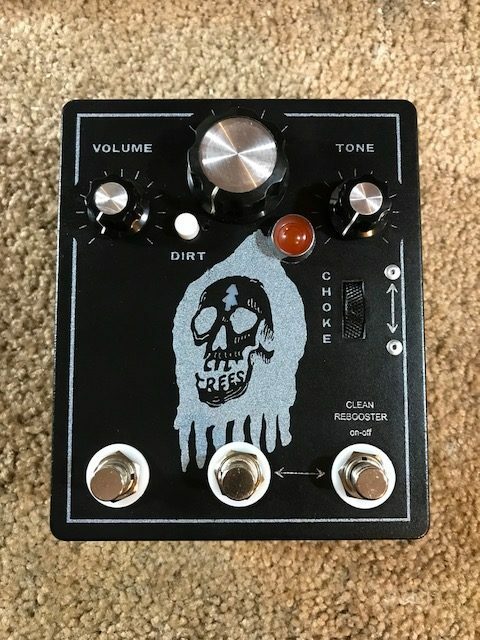 Dirt will add both volume and treble to your signal. The characteristics of the gain remind me of a falling rain, wall of sound effect met with a slight chorus shimmer in the guts of the tone. The sound is unmistakable; a shaky, clean, and strike sensitive effect from zero to noon. 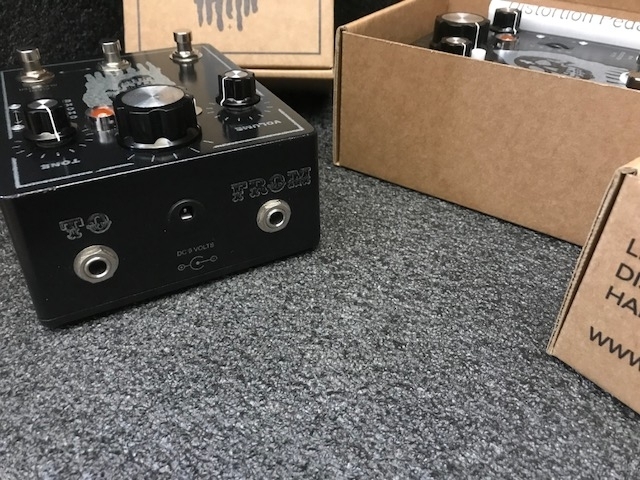 When positioned beyond twelve o’clock, the sound will be effectively colored by the pedal. You will find that the pedal has taken over your “clean” and turned that into a continuously “dirty” signal. 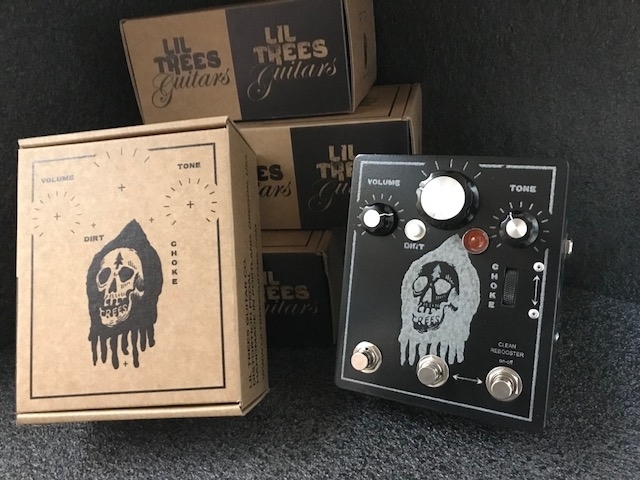 I feel that this pedal is capable of the most classically rock rhythm tone I’ve heard, from any pedal. 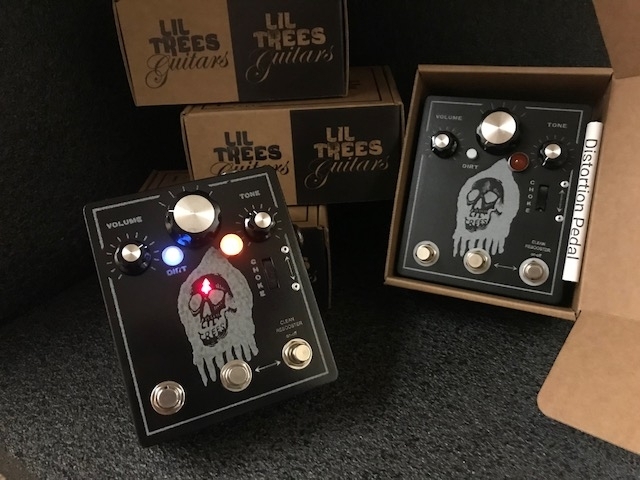 With a rhythm tone like I’ve described, it wouldn’t be unreasonable to assume that this pedal will provide you with the thickest lead tone you’ve ever heard. You would be correct in your assumptions. 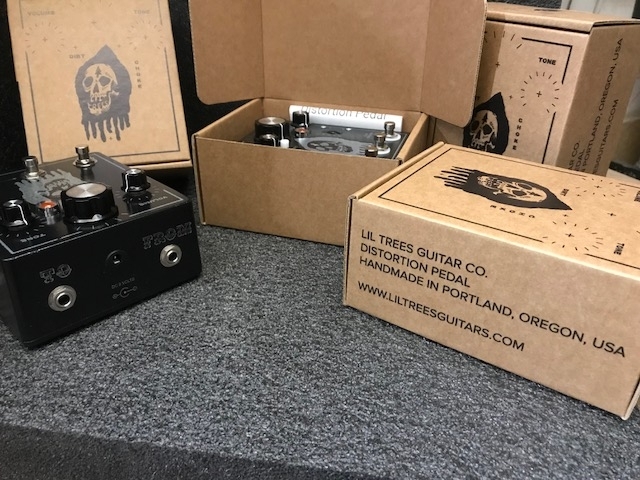 Neck or bridge position, your lead tone will be unreal. The “CHOKE” knob is both selectable as (BLUE) and very subtle. 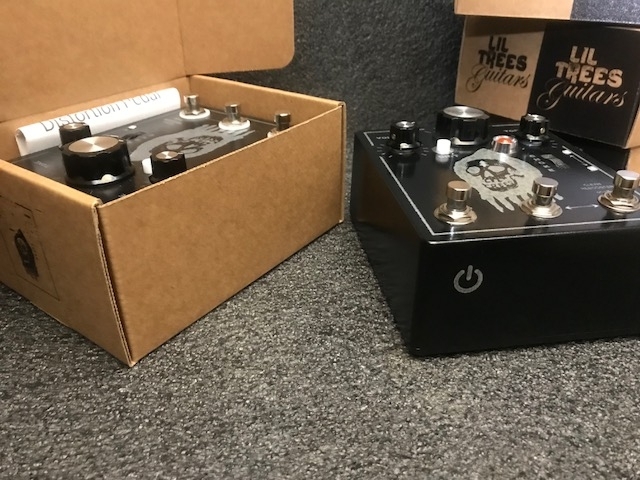 What it does is slightly compress your lowest of lows when positioned at maximum and from there, as you pull the knob down, your signal will be incrementally less and less committed to the low end potential impact on the way the pedal hears your guitar when compared to the (GREEN) operation. To use few words; the (BLUE) lamp signifies the introduction of a variable Henry choke. This will remove Henry’s from the signal being fed to the pedal. Take it from me, this is worth looking into and playing around with. It is a very expressive feature. 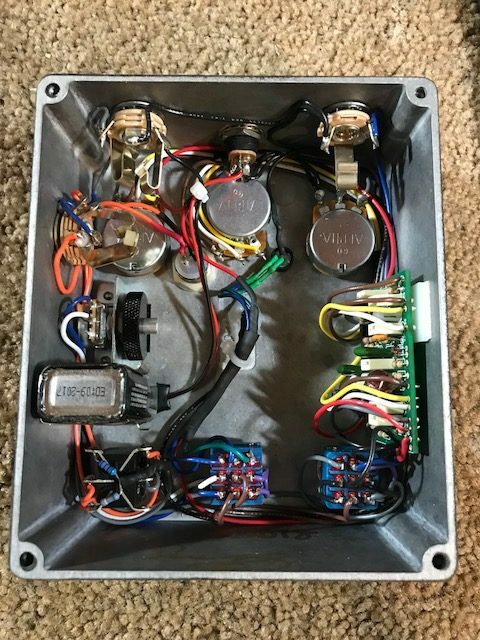 If you really want to hear this pedal open up; use guitars equipped single coil pickups and or humbuckers with series/parallel switching. This will offer the most dynamics and versatility in your color palate for making new tones to play with.